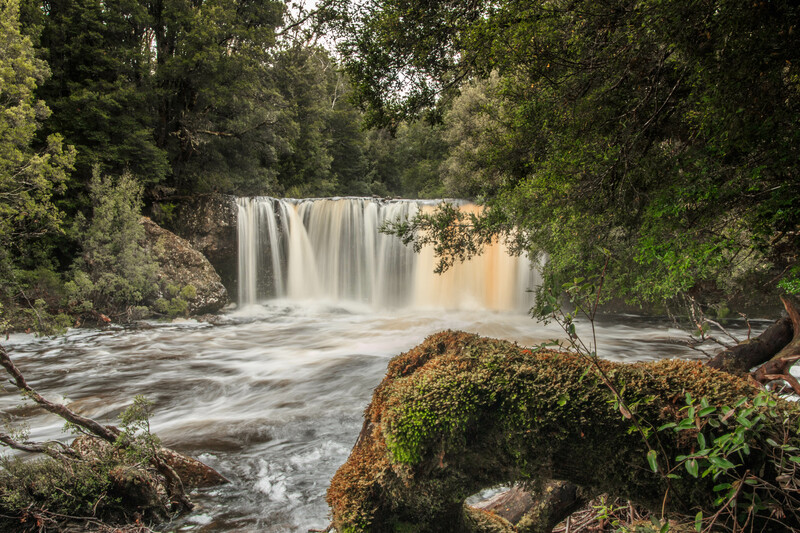 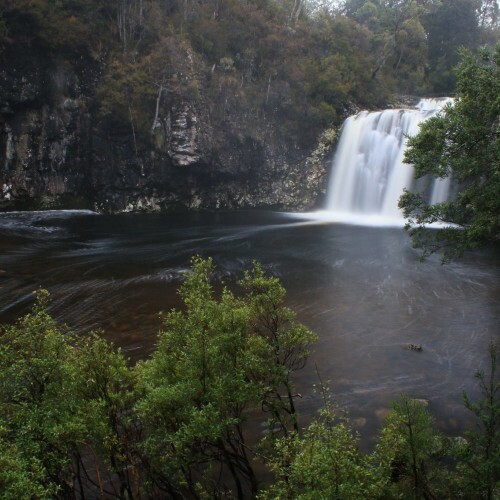 Knyvet Falls is situated on Pencil Pine Creek, a short distance downstream from Pencil Pine Falls. 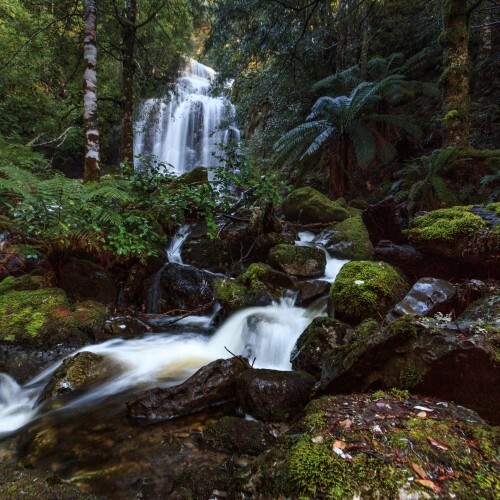 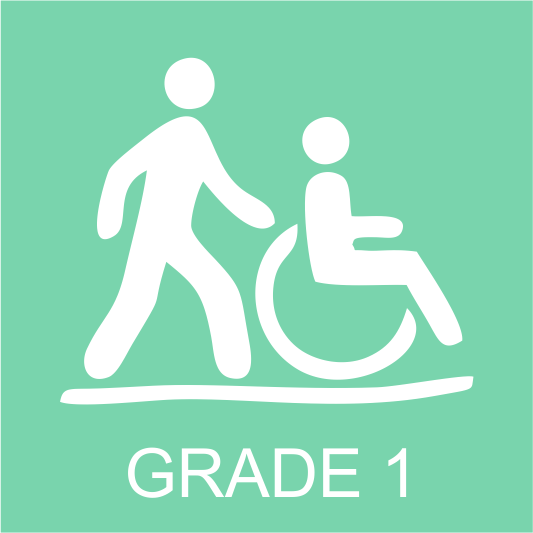 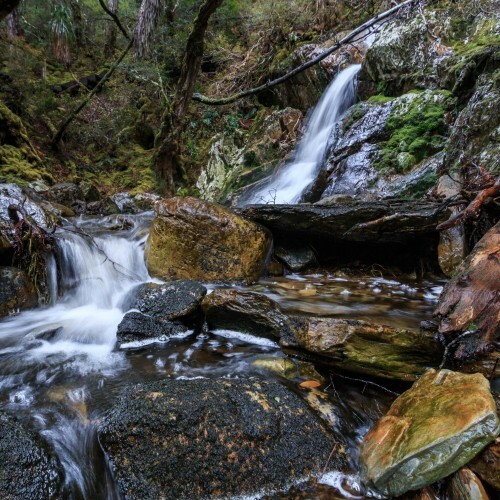 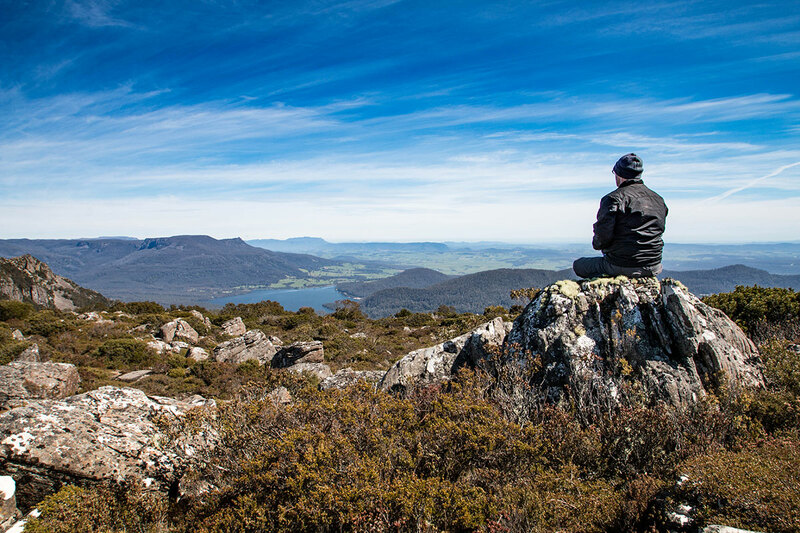 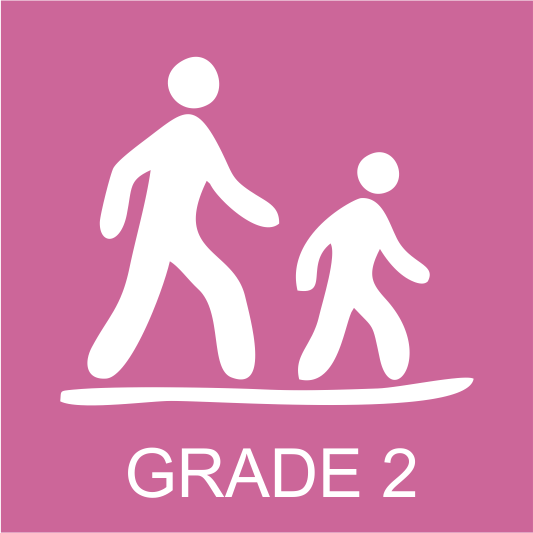 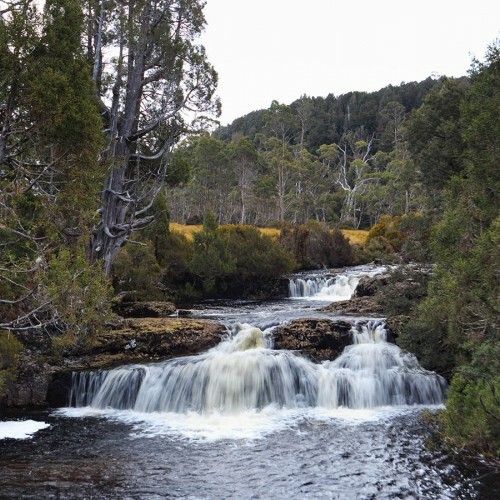 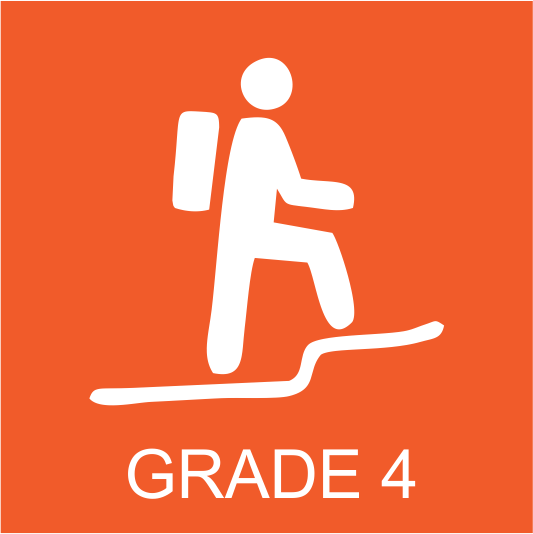 The walking track, known as Knyvet Falls Track, commences across the road from Cradle Mountain Lodge, which can be taken to view both Pencil Pine Falls and Knyvet Falls, and takes about 30 minutes return to view both waterfalls from the lookouts. 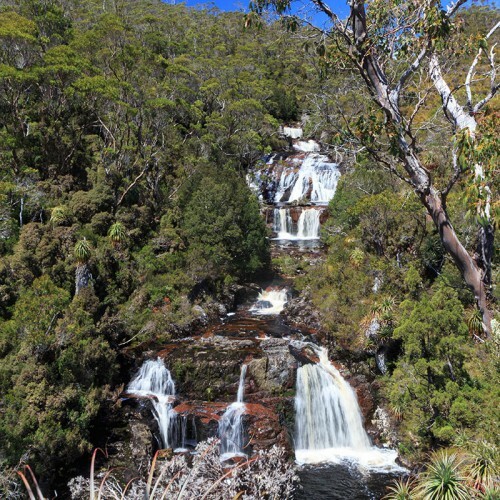 The lookout for Knyvet Falls is right next to the top of the waterfall, however a nicer vantage of the waterfall can be seen a little bit further along the track.